I can't believe November is near enough over, this year and this month have gone so quick! So of course, today I will be sharing with you what I have been loving during the month of November. I know I always say this, but this month I haven't been loving a lot! But anyway, here is what I have been loving this month! There is only one makeup item I have been loving this month, I have wore it like everyday! If you have read my recent posts, then you know how much I love this lipstick. This is a very natural lipstick, I think just a bit darker that normal lip shade. It isn't what I would normally wear for an autumn lipstick, but this year I have went off wearing reds, and berry shades. It was my birthday this month, and one of the gifts I got was this, i got it off Amber. I love hair products, and trying new hair products out, and I had never tried any of these before, but now I love them. The gift set came with Cleanse Shampoo for Normal hair, Nourishing Conditioner for Normal Hair, Prep Heat Protecting Mist and finally the Glamour Firm Hold Hairspray. 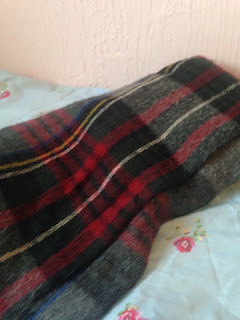 Of course, my scarf would make a feature in this post, as in England it has been getting super cold this month, it has been windy and raining nearly everyday, so everyday my scarf comes with me to school. I got this scarf last year from primark, if you read my blog last year you would have saw this a lot! This scarf keeps me so warm, and it goes with my school uniform so well! I forgot that I mentioned this in my October Favourites, but I have been loving this perfume again this month. 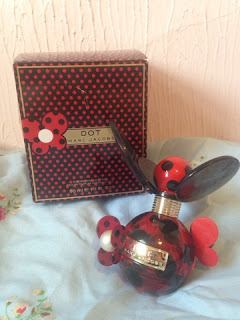 if you have never smelt this perfume before, you are missing out, it is such a lovely subtle scent, and I hate strong girly scents, so that is the main reason I love this. I got this last year for Christmas off my Gran, and because I love it that much, and I don't have that much left, I have asked my mum and Dad for it this Christmas, so I hope I get it. I wear this most days now, and I think my school tie mainly smells of this! This is another perfume I have been loving this month, I also got this for Christmas last year, I got it off my Mum and Dad. 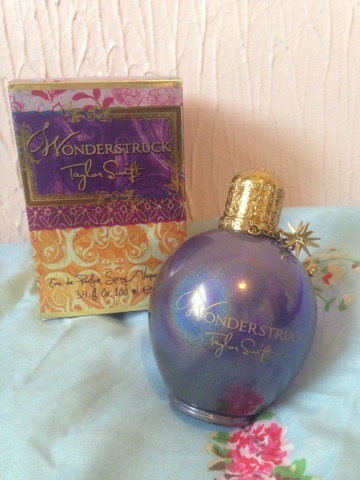 This is the second time I've had this perfume, and I love this scent. I will normally wear this for school too, I normally wear this when I don't want to wear Dot, I will normally alternate between the two. This is a bit of a weird favourite, but as I said before, it was my birthday earlier on this month, the 13th November. 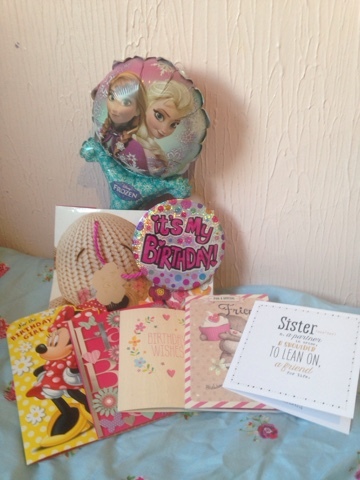 I got a lot of cards, the ones on the picture is the cards off my friends and my sister, I also got presents off Liv and Amber, a badge off Niamh and a Frozen Balloon off Liv, that I literally love! I would just like to say thank you for the cards, the presents and anyone on twitter who wished me a Happy Birthday, or anyone who commented on my last blog post! This month I have been loving a lot of music, some new, some kind of new, and here they are. Of course this had to be in my favourites, this album came out on my Birthday, and I think this could be my favourite One Direction album: my favourite songs off the album are Long Way Down, I Want To Write You A Song, End Of The Day and History. I've never been a big fan of Justin Bieber, I've never really listen to his albums that much other than when Niamh bought the Believe album and would have it on 24/7, but other than that I've never really took that much of a liking to his album. However as you may know from my playlist post, I loved What Do You Mean and Sorry, but when his album came out I didn't listen to it, until this week, because of my friend Nicole, who loves him and told me to listen to it, and I have, and the songs I like are: Love Yourself, Children, The Feeling (feat. Halsey), and Life Is Worth Living. Finally, Little Mix came out with their new album at the start of the month, and I've also been listening to that, it is a bit different to their previous albums, but I think it will be amazing live, I love, Secret Love Song (feat. Jason Derulo. ), Secret Love Song Pt II, Love me or Leave Me and Weird People. I hoped you liked this post, comment below what you have been loving this month! Thank you, I literally love the scarf, it was so cheap, and I wear it nearly everyday, I think it might be one of the best things I've ever bought! Thank you, I know they make my hair smell and feel so nice. You should really try the lipstick, I think it is one that looks good on everyone.